Henry IV ( 3 April 1367 – 20 March 1413) was the King of England and France and Lord of Ireland from 1399 to 1413. He was born at Bolingbroke Castle in Lincolnshire, hence the other name by which he was known, "Henry (of) Bolingbroke". His father, John of Gaunt, was the third and oldest surviving son of King Edward III of England, and enjoyed a position of considerable influence during much of the reign of Richard II. Henry's mother was Blanche, heiress to the considerable Lancaster estates. His half-sister Catalina Plantagenet by his father's second wife, Constanza of Castile ruled as co-consort of Castile. He also had four half-siblings by Katherine Swynford, his father's longtime mistress and eventual third wife. His relationship with the Beauforts and their mother was equivocal. He expressed resentment that his former governess had taken his mother’s place, as well as the favour shown to them by their father. Upon his accession, he revoked his half-brother’s marquessate, and passed further legal measures barring them from the throne. However, Thomas Swynford, a son from Katherine’s first marriage was a trusted and able companion. Henry enjoyed a rather more equivocal relationship with Richard II than his father had: they were first cousins and childhood playmates. They were admitted together to the Order of the Garter in 1377, but Henry participated in the Lords Appellant’s rebellion against the king in 1387. After regaining power, Richard did not punish Henry (many of the other rebellious barons were executed or exiled). In fact, Richard elevated Henry from Earl of Derby to Duke of Hereford. 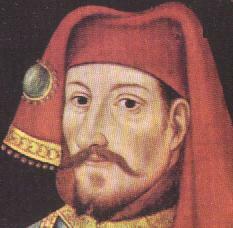 The relationship between Henry and the King reached a second crisis in 1398, when Richard banished Henry from the kingdom for ten years (with the approval of Henry's father, John of Gaunt) to avoid a blood feud between Henry and Thomas de Mowbray, 1st Duke of Norfolk, who was exiled for life. Henry spent a full year supporting the unsuccesfull seige of Vilnius (capital of Grand dutchy of Lithuania) by Teutonic knights with his 300 fellow knights. The following year, however, John of Gaunt died, and without explanation, Richard cancelled the legal documents that would have allowed Henry to inherit Gaunt's land automatically -- instead, Henry would be required to ask for the lands from Richard. After some hesitation, Henry met with the exiled Thomas Arundel, former (and future) Archbishop of Canterbury, who had lost his position because of his involvement with the Lords Appellant, and Henry and Arundel returned to England while Richard was on a military campaign in Ireland. With Arundel as his advisor, Henry Bolingbroke began a military campaign, confiscating land from those who opposed him and ordering his soldiers to destroy much of Cheshire. Quickly, Henry gained enough power and support to have himself declared King Henry IV, imprisoning King Richard (who died in prison under mysterious circumstances) and by-passing Richard’s seven-year-old heir-presumptive Edmund de Mortimer. Henry's coronation, on 13 October 1399, is notable as the first time following the Norman Conquest that the monarch made an address in English. Henry consulted with Parliament frequently, but was sometimes at odds with them, especially over ecclesiastical matters. On Arundel's advice, Henry passed the De heretico comburendo and was thus the first English king to allow the burning of heretics, mainly to suppress the Lollard movement. His first problem was what to do with the deposed Richard, and after an early assassination plot was foiled, he probably ordered his death by starvation in early 1400, although there is no evidence for this. Richard's body was put on public display in the old St Paul's Cathedral to show his supporters that he was dead. Rebellions continued throughout the first ten years of Henry’s reign, including the revolt of Owain Glyndŵr, who declared himself Prince of Wales in 1400, and the rebellion of Henry Percy, 1st Earl of Northumberland. The king's success in putting down these rebellions was due partly to the military ability of his eldest son, Henry, who would later become king, though the son (who had maintained a close relationship with Richard II) managed to seize much effective power from his father in 1410. Early in his reign, Henry hosted the visit of Manuel II Palaiologos, the only Byzantine emperor ever to visit England, from December 1400 to January 1401 at Eltham Palace, with a joust being given in his honour. He also sent monetary support with him upon his departure to aid him against the Ottoman Empire. The later years of Henry's reign were marked by serious health problems. He had a stepine disfiguring skin disease, and more seriously suffered acute attacks of some grave illness in June 1405, April 1406, June 1408, during the winter of 1408–09, December 1412, and then finally a fatal bout in March 1413. Medical historians have long debated the nature of this affliction or afflictions. The skin disease might have been leprosy (which in any case did not mean precisely the same thing as it does to modern medicine), perhaps psoriasis, perhaps a symptom of syphilis, or some other disease. The acute attacks have been given a wide range of explanations, from epilepsy to some form of cardiovascular disease. Philippa of England ( 1394- 1430) married in 1406 Eric of Pomerania, king of Denmark, Norway and Sweden. Mary died in 1394, and in 1403 Henry married Joanna of Navarre, the daughter of Charles d'Evreux, King of Navarre. She was the widow of John IV of Brittany, with whom she had four daughters and four sons, but she and Henry had no children. 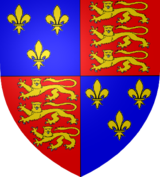 The fact that in 1399 Henry had four sons from his first marriage was undoubtedly a clinching factor in his acceptance onto the throne. By contrast, Richard II had no children, and Richard's heir-apparent Mortimer was only seven years old. Almost two hundred years afters his death, Henry became the subject of two plays (or one two-part play) by William Shakespeare ( Henry IV, Part 1 and Henry IV, Part 2) as well as featuring prominently in Richard II.